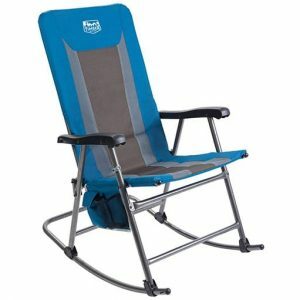 A folding chair can make all the difference between a long, painful afternoon and a comfortable, memorable experience. If your kid is involved in athletics, then you don’t want to miss one minute of the action. 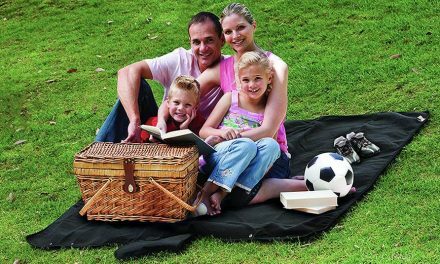 Whether you are visiting practice, camping, or travelling to away games, make sure to have the right folding chair or lawn chair. These come in a great variety of sizes, shapes and functions. Some are small tripods, while others are heavy duty luxury editions with a canopy, side table and cushions. 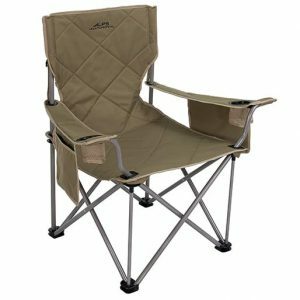 Explore the list and find the best heavy duty folding chair for heavy people this season. Many folding chairs have cheap frames, cheap rivets and poor stitching. Because of this, your past experiences with lawn chairs may leave bad memories. Thanks to the ALPS King Kong Chair, you no longer have to fear another bad experience with a chair breaking. This chair is made with a sturdy powder coated steel frame, capable of supporting 800 lbs. Features are fairly standard, with pockets on one arm and the back, as well as cup holders in both arms. The King Kong comes with a carrying bag and measures a hefty 13 lbs, so you don’t want to be carrying it too far. Check out this chair, and you won’t have to worry about replacing chairs anymore! Sunglasses, drink, camera, sunscreen, and all the other game day essentials will quickly take up your lap space. It features the perfect side table and a variety of pockets, that will make game day a breeze. This chair is from a trusted brand, and features a sturdy table, along with a 300 lb capacity. The aluminum frame gives up a bit of capacity, but is a manageable 7 lbs to carry. 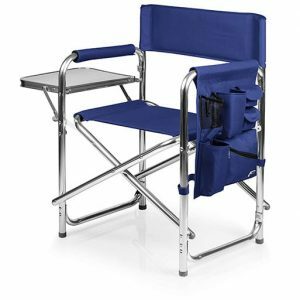 The Director’s Chair style means that this chair folds in half and snaps into place for a flat seat. The seat is a nice 16 inches off the ground, which is high enough for tall people to be comfortable. Oniva is so confident in this product that they back it with a lifetime guarantee. Have a partner or parent to watch the game with? Or maybe another young one you need to keep an eye on? 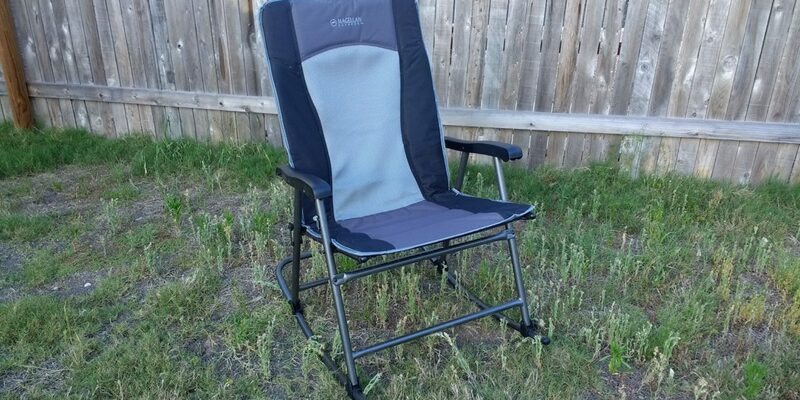 Check out this love seat folding chair from Coleman. Coleman, another trusted name in outdoor products, delivers with this popular heavy duty loveseat. The steel frame supports a maximum (combined) weight of 500 lbs. Many other multi-person seats have flimsy construction. You don’t have to worry about that with the Coleman. Also, both sides have a cup holder and large pocket on the back. This chair does have a carrying bag, and sits a little lower to the ground than some on this list. The Coleman Quattro is our favorite love seat for spectators this season! Say hello to comfort and leisure with this folding rocking chair from Timber Ridge. This chair boasts a powder coated steel frame that supports a 300 lbs capacity. The seat and back are padded for added comfort. Also, this chair literally rocks. The sturdy material lasts well in any outdoor conditions. The Smooth Glide Rocking Chair sits well of the ground, and the design keeps you rocking all season long. Be ready for everyone asking if they can sit in your chair. STRONGBACK designed this ergonomic chair to correct your posture and relieve your back problems. Although this company has not yet made a household name for themselves, we are very glad that manufacturers are starting to look into lumbar support as a serious issue. The height and design of this chair ensures that your back will be straight and feet flat on the floor. The heavy frame supports 300 lbs of capacity at a carrying weight of 12 lbs. 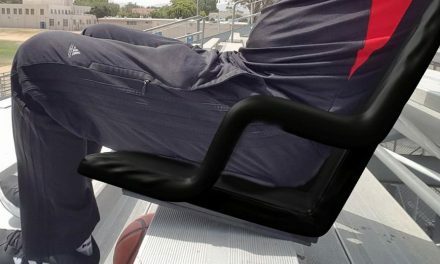 Look to this chair to relieve your nagging back problems so you can support your kids all season long. 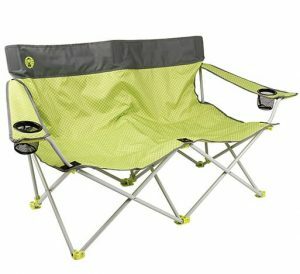 There you have it, our review of heavy duty folding chairs for every situation! If you or a loved one is a heavy person, we hope you found what you need. 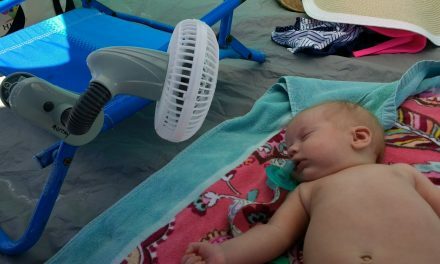 We have also reviewed The Best Stadium Seats for Bleachers, and those clutch little personal cooling fans for the hottest days. Also, look into the popup sports tents for added shade. Then, make sure to comment and thank us for not having to worry about folding chairs anymore. 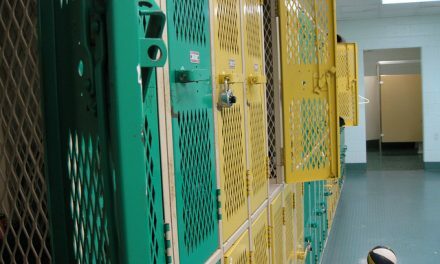 PreviousWhich Kids Cleats are Best for Which Sport? NextEasy Beach Games for Kids – Fun in the Sun!